How can we shore up defenses? From a very high-level overview, it seems like today's computer networks are more protected than at any other time in history. Almost every organization protects itself with multiple defenses, with larger organizations spending millions of dollars on the latest and greatest protection devices, programs and technology schemes. Still, cyber-attacks are getting through, and doing so in increasingly large numbers. The latest Verizon Breach Investigations Report hit another high in 2017, tracking 42,068 cyber incidents that resulted in 1,935 breaches at monitored organizations. The same was true of the annual Identity Theft Resource Center Year End Data Breach Review, which saw an uptick of 44.7 percent in the number of tracked breaches over the 2016 numbers. Clearly, there are problems with the way IT defenses are managed and deployed today. 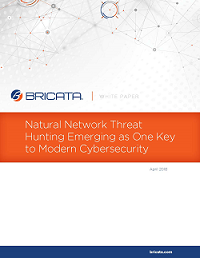 Those problems range from not having enough cybersecurity professionals, to a deluge of highly sophisticated threats from motivated attackers. Discover how a powerful network threat hunting platform built into a comprehensive IDPS solution can deliver improved protection by identifying the true scope and severity of threats in your environment.